VCenter CapacityIQ plugs vSphere’s reporting gaps with vital resource and usage statistics. But the capacity-planning software isn’t customizable, which may be a deal breaker. VMware vCenter CapacityIQ displays resource statistics and generates reports for capacity-planning purposes. But the lack of customization limits its effectiveness and may be a deal-breaker for some. 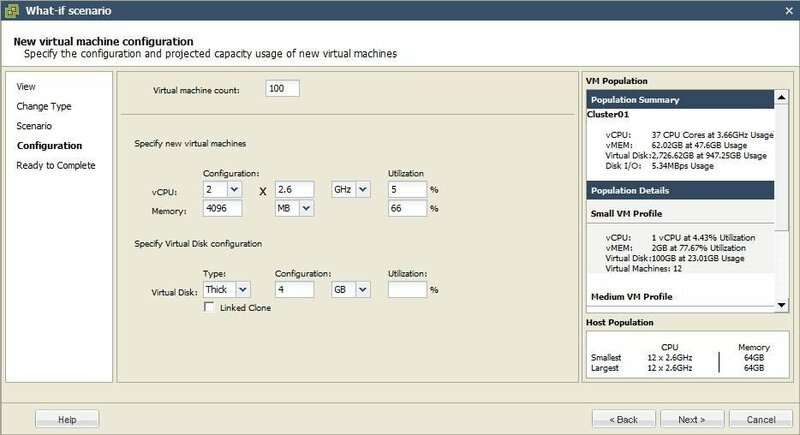 To see if VMware’s capacity-planning software is right for you, let’s run through the user interface and explore what vCenter CapacityIQ has to offer. Loading CapacityIQ brings you to the dashboard, which displays general statistics about your virtual infrastructure, including CPU and memory usage. If you’re launching CapacityIQ for the first time, data may not appear for an hour or so. It’s also worth noting that data isn’t presented in real time. So it can take a while for VMware’s capacity-planning software to register infrastructure changes, such as the addition of new hosts or clusters. Once vCenter CapacityIQ collects the data, select a cluster or virtual machine (VM) object in the left pane. From there, you can drill down into specifics in the View and Reports tabs. The View tab pulls data from vCenter Server and displays capacity and trend information, such as CPU, memory and disk I/O usage. It also shows information on oversized and undersized VMs, including their virtual CPU configuration, as well as suggestions for right-sizing their resources. Additionally, the View tab displays data on idle and powered-off VMs, such as their CPU and memory configurations. A majority of the views show information about the cluster, which provides a big-picture view of your virtual infrastructure. 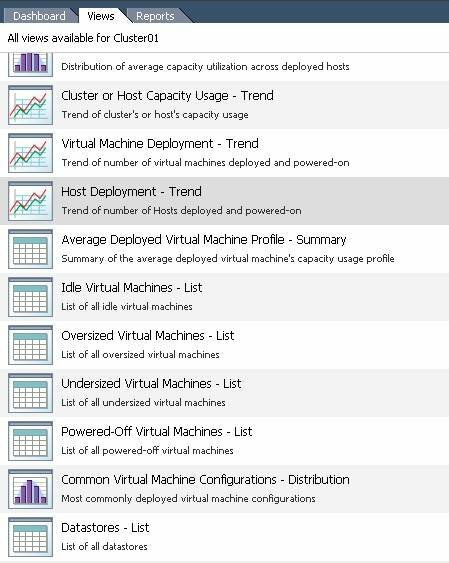 You can check cluster- and host-capacity usage as well as common VM configurations. 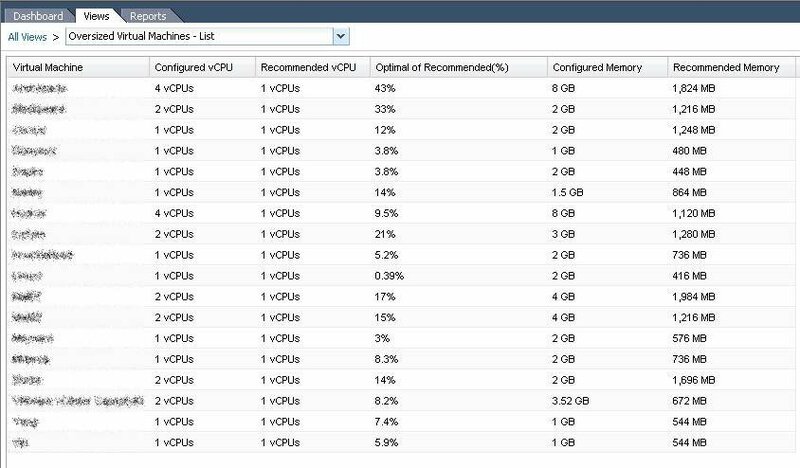 If you have VMs running similar workloads, studying the common configurations is helpful. It allows you to quickly provision similar resources when your existing VMs are taxed. Selecting an individual VM displays its capacity trends, data store statistics and summary information (i.e., total capacity and time remaining until the VM reaches capacity). A very useful view is Oversized Virtual Machines, which displays VMs that are not fully utilizing their resources. Another helpful view is Datastores, which shows detailed storage statistics, including disk I/O read and write data, free space and total space available. The Reports tab exports data to a PDF or CSV file. You can immediately generate reports or schedule them to run on a regular basis. underused/stressed cluster and host detection rules, which identify the load on clusters and hosts before deploying VMs. In this tab, you can also create what-if scenarios to gauge capacity and load changes without actually making infrastructure modifications. You can theoretically add or remove VMs and hosts to a cluster as well as add host hardware resources, such as CPU, memory and disk. VCenter CapacityIQ reports are pretty basic, and the presentation mechanism is OK. Considering CapacityIQ’s cost and the fact that it was released a year and a half ago, I expected a lot more. The reports for the what-if scenarios are a bit difficult to interpret, for example. And the lack of customization or the ability to create your own reports is a big weakness. I also found the documentation to be pretty poor and not up to VMware’s usual excellence, which made the product more difficult to use. Overall, vCenter CapacityIQ is fine for basic capacity planning. But if you want more features and better reporting, there are many third-party products available, such as vKernel vOPs Capacity Manager and Veeam Reporter and Monitor.